← Kings Cross remains a Race Track against promises to change it! Yet another water leak in the area, this time at Pentonville Prison jogged memories of other leaks along the Cally and nearby. The leaks below are all within 500 metres of each other along the same road. The February leaks are uncannily close to the site of this week’s major incident. Water pipes burst all year round – in hot weather it can be due to the ground shrinking causing movement (same as subsidence in your house – note the rows of mature trees on each side of the road here) or due to the pipe itself swelling in the heat, causing a crack. Some hot cities in the USA have terrible problems, Houston for instance. 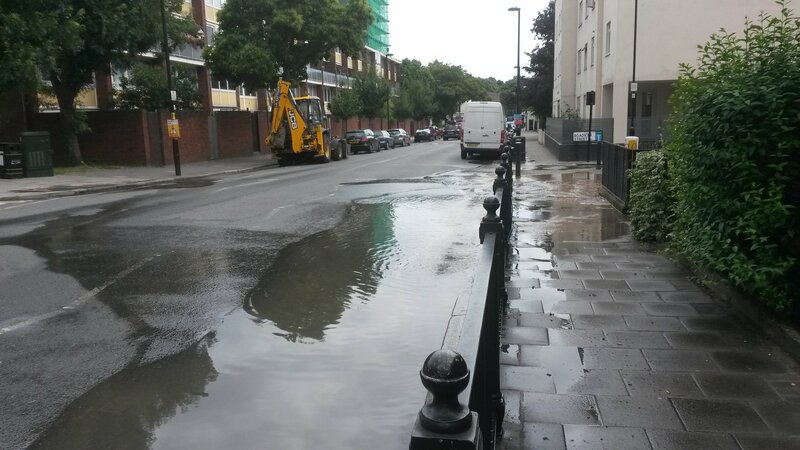 Islington seems cursed by huge water main leaks and the council has set up a review under the policy and scrutiny committee. Thames Water commissioned a forensic independent report by engineer Paul Cuttill into trunk main leakages which makes for a fascinating read. Islington Council heard evidence from the author of the forensic review (Minutes). As a former bureaucrat myself, reading between the lines, it simply sounds like Thames are not sufficiently incentivised by the regulator and the courts to plan for and deal with major leaks properly. The situation described by Cuttill would likely be criminal in gas and electricity. In my opinion, as people are very rarely killed by a water leak and the damage is economic there is only a light sanctions regime in place for Thames Water. The existence of this regime makes a class action unlikely. And so, facing a colossal bill for repairing and replacing the elderly mains it is rational for Thames to dawdle along. Thames Water is producing its own broader review of trunk mains that will report ‘this summer’ with an action plan, according to the then Secretary of State. 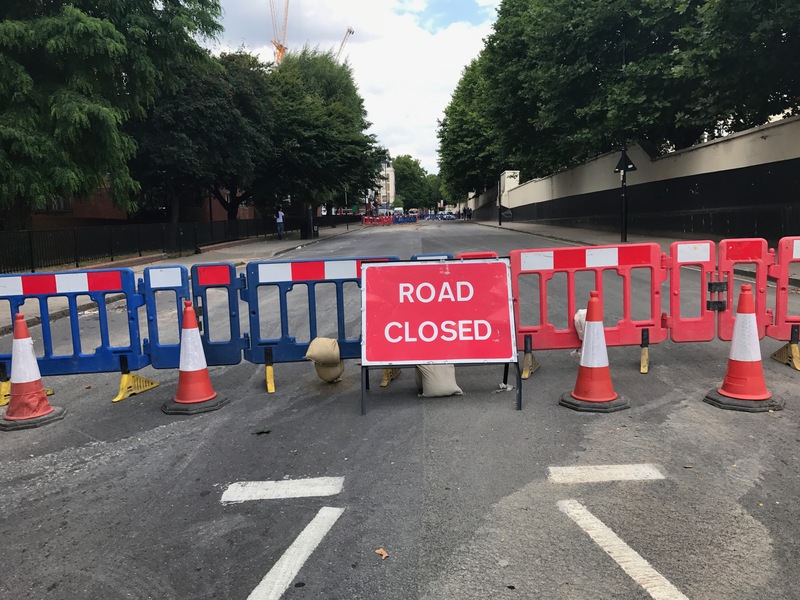 This week, a massive chunk of the Cally is closed to through traffic and buses are diverted – here’s a few memories of previous leaks. June 12 2017 – Copenhagen Street – second leak there within a few days. On Cally Rd, there's a further leak outside the prison and yesterday another burst at Kember street junction. @thameswater Thanks for fixing bad burst outside Yasar's at 319 Caledonian Rd. Other smaller leak outside 315 since before Xmas though. I asked Thames Water’s press office for comment, but they did not get back to me at the time of writing – they would be welcome to add to the comments. This entry was posted in Anti Social Behaviour, Planning, Licensing and Regulation and tagged cally road, thames water. Bookmark the permalink.